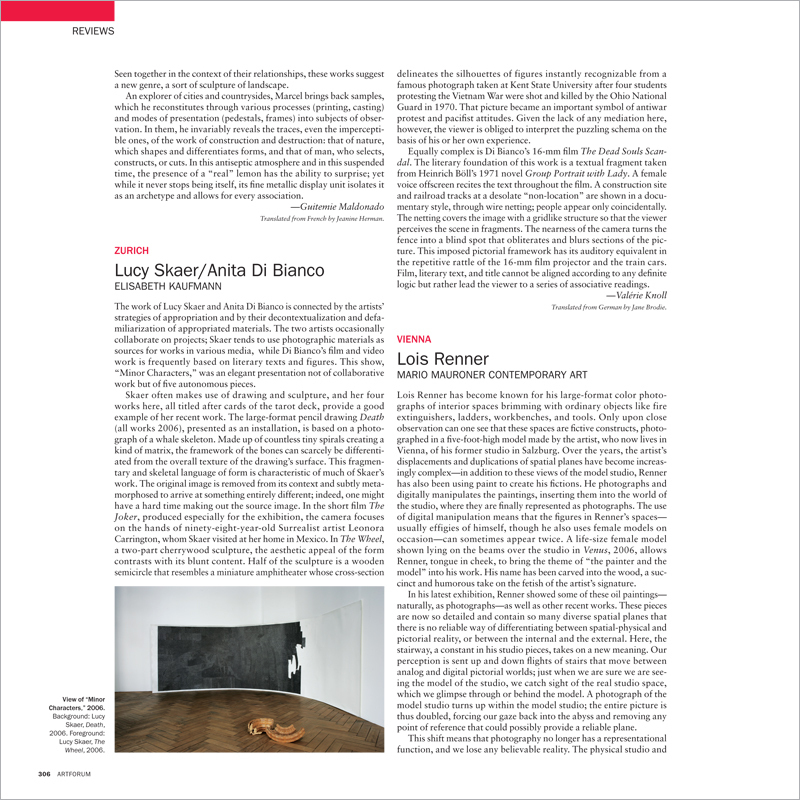 The work of Lucy Skaer and Anita Di Bianco is connected by the artists’ strategies of appropriation and by their decontextualization and defamiliarization of appropriated materials. The two artists occasionally collaborate on projects; Skaer tends to use photographic materials as sources for works in various media, while Di Bianco’s film and video work is frequently based on literary texts and figures. This show, “Minor Characters,” was an elegant presentation not of collaborative work but of five autonomous pieces.